Last week, I attended a cheese and wine masterclass featuring some of Blue Cow Cheese Company’s “Just Landed” range of imported European traditional, artisanal and handmade cheeses. Blue Cow is a Western Australian cheese company that specialises in farmhouse and specialty cheeses sourced locally and around the world. The masterclass was presented by company director and expert cheese merchant Nick Bath who shared with us his knowledge and passion for cheese. 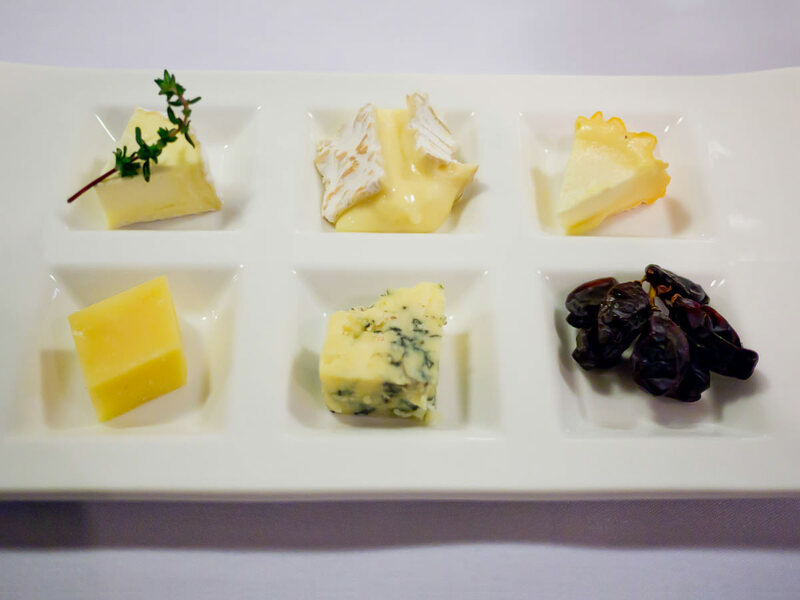 We took our seats around the table in the University of WA Club’s Formal Dining Room as wine was poured and plates of cheese were placed before us. I was excited by the prospect of tasting cheeses from England and France which I had not tasted before. There was a generous supply of crispbreads and a matching wine for each cheese. A triple cream cheese from Burgundy, France, made with cream, double cream and creme fraiche. It had an interesting smell that was almost mushroomy, a rich buttery flavour, slightly salty rind and a supple texture. Nick encouraged us to try the cheese with some of the herb garnish. Fresh thyme and Delice Cremiers are a killer combination I will crave again. This handmade farmhouse Brie was a gooey blob with a flavour and aroma distinctly different to the Australian Brie cheeses I’ve eaten. It had a savoury smell surprisingly similar to cauliflower. I temporarily ignored my cheese knife and instead dipped my finger directly into the delicious velvety goo. It looked like a pretty little piece of lemon pie but appearances can be deceiving in the world of cheese! I found this the most challenging out of all the cheeses we tasted. It had a salty pungent horsey smell that didn’t appeal to me but my one rule when attending any kind of masterclass or tasting event is “try everything”. I rather like strong-smelling cheeses, but perhaps not so much the really musty, socky ones – how about you? This cheese comes from Somerset, England. You’d think Cheddar would be a familiar friend, but like the Brie, I was surprised by how different this traditional farmhouse Cheddar was to others I have eaten. Nick urged us to break it apart with our fingers and breathe in its aroma. It smelled grassy and earthy (literally, like the smell of moist soil or moss) and had a slightly gritty texture. Our cubes of Cheddar were cut from the original clothbound 26kg truckle cheese, which had been matured for 14 to 16 months. Blue Cow imports cheeses as originally produced, be they enormous wheels, drums, barrels and other hefty forms. My favourite after the Delice Cremiers, which surprised me as I’d usually choose Camembert or Brie over blue cheese on any cheeseboard. It was crumbly yet creamy, and when eaten with the raisins and a sip of dessert wine, took on a rich, honeyed flavour that reminded me of ripe bananas or stewed fruit. Nick had many interesting stories to share and told us about the history of the cheeses we were tasting, how they are made, and how they should be stored and served. His wife Katie was also in attendance and together they had many a cheesy tale to tell! It was delightful to be eating cheese in the company of cheese lovers talking about cheese! 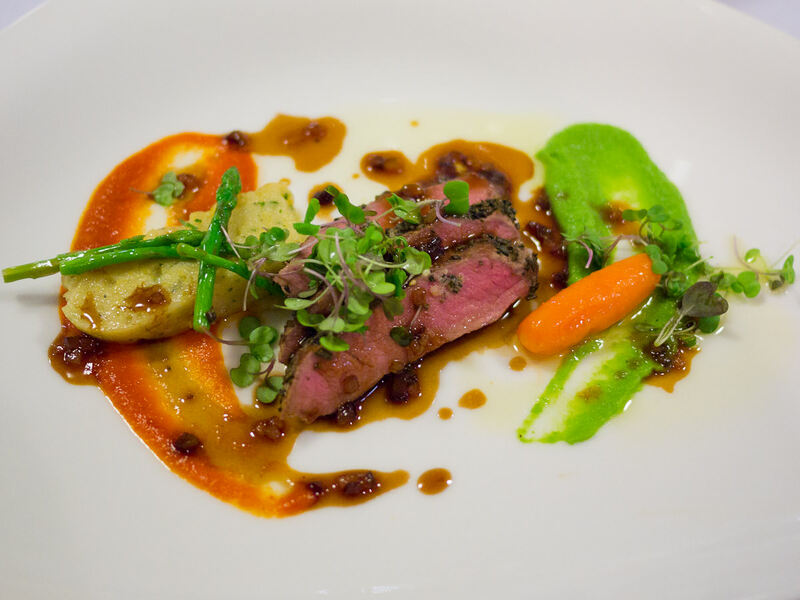 When all the cheeses had been tasted and our plates cleared, we were served a tasting dish created by the University Club chef: cannon of Amelia Park lamb with Stevenson Stilton and polenta gnocchi Romaine, pea puree and pear jus. The lamb was beautifully tender and soft as butter (or is that soft as cheese?). The Stilton gnocchi Romaine was richly flavoured and went very well with the sweet pear jus. My favourite element on the plate was the streak of pea puree, an eye-catching radioactive green, bursting with the taste of peas. Chef Costa came out of the kitchen to say hello and we gave him a round of applause. I really enjoyed the masterclass. 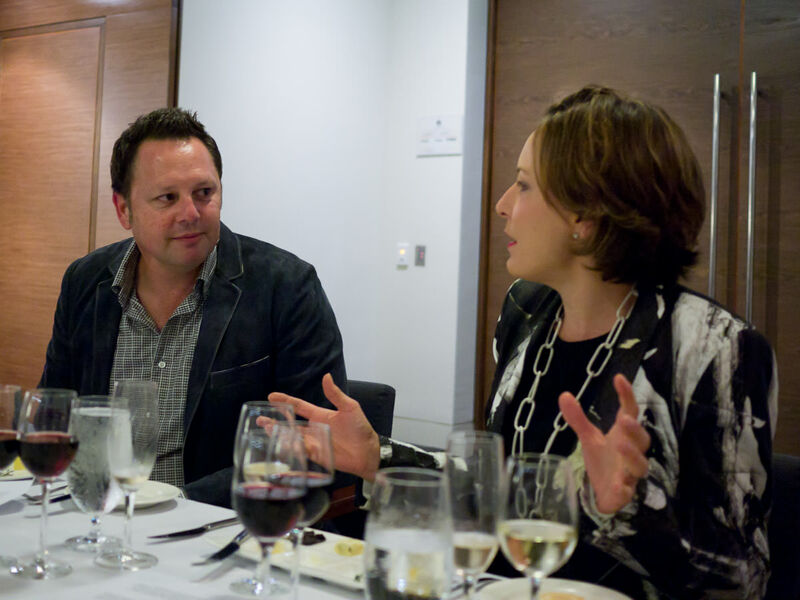 It was a relaxed, educational evening of delicious sensory pleasures. Throughout the session, we were free to make comments and ask questions. If you like eating cheese and are interested in learning more about cheese, I highly recommend attending a cheese tasting/masterclass. We were each given a showbag to take home, which made our post-masterclass cheesy smiles even wider! Somewhere in my near future is a cheeseboard featuring another Stilton, Jouvence Brie Fermier and Gutshoffer Ziegenkaese, a hard cheese made in the Netherlands. Got a cheesy story to share? What’s the best, stinkiest or most interesting cheese you’ve eaten? Head office, storage and distribution facilities are based in Belmont, with an office and distribution centre also in Margaret River. The “Just Landed” range of cheeses are available in Perth from Boatshed Fresh Market, The Herdsman, Fresh Provisions and other good retailers. See Blue Cow’s website for more information, including where to buy, recipes and upcoming cheese tasting events. TFP attended this event as a guest of Blue Cow Cheese Company.